In our math lessons from livingmath.net, we’re up to the contributions of India and Arabia in the Middle ages, focusing on the number zero and positive and negative numbers. Here’s the timeline parallel. I titled this photo Jesus is Zero. Isn’t that mathematically perfect? 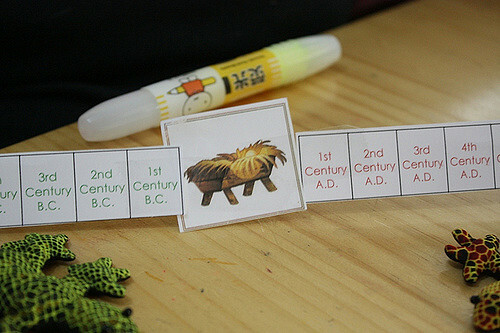 The printable came from Montessori for Everyone. 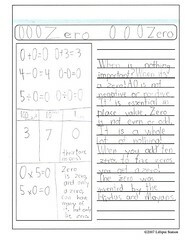 Zero is an essential number both in place value and on the number line. I love the part in the poem “Zero” in Math Talk that says, “I’m the origin on the number line.” What an amazing parallel. Numbers, both positive and negative are valued in their relationship to zero. Time itself is measured in relation to the life of Christ. So in that way, Christ is Zero — the center, the origin, the base and foundation. There is no way we’d get these insights from Singapore Math textbook. Lovin’ living math! 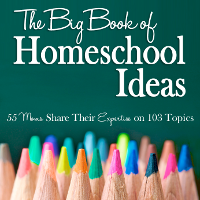 For the thermometer application, we used page 13 from the FREE ebook –Fast Ideas for Busy Teachers, Grade 4. Sprite made a notebooking page about the zero in which she told about its history, its importance, and some of its unique characteristics. 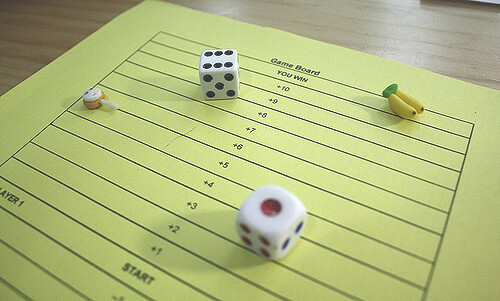 Education World has another good game idea for learning about the number line. I adapted the game into a life-sized version. I asked Sprite to create a life-sized number line so that she could serve as the playing piece. That got her attention! She was filled with anticipation about the game. I pulled out two numbers from my prepared stack and had Sprite physically move out the problem. The first number was her starting point. Then she had to add the next number. I saved each combination and had Sprite write down the math problems and answers after she had walked them out across the numberline. To help her grasp subtracting integers, I told a story which she had to act out on the numberline. And so on with Sprite going into debt and working back out of it in various humorous situations. The sillier the better. It hides the fact that you’re actually learning math. Here is a notebooking page to go along with this study –[download id=”48″]. Later this week, I’ll have Sprite record what she learned on it. To be clear, the activities I’ve listed here were not done in on day or even one week. Actually, this study covered about two weeks worth of math instruction although we were working on other concepts as well (parallel and perpendicular lines, to be exact). I have found that with Sprite and math, Charlotte Mason’s advice is perfect — small doses with repetition work much more effectively than long lessons. 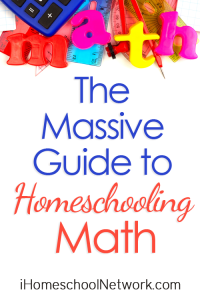 This post is featured on The Massive Guide for Homeschooling Math. Click to see more great math posts. 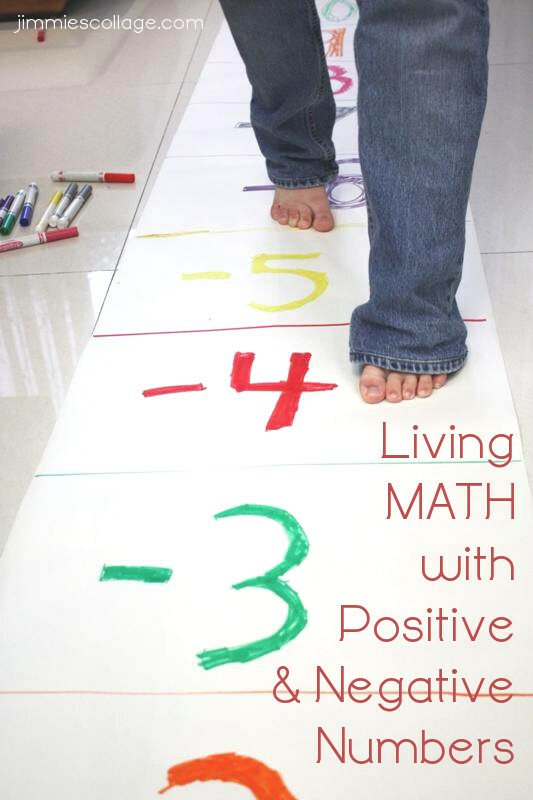 The lesson with the number line looks really fun, what a great idea! I took a peek at the sample pages from the curriculum at livingmath.net last week. I am wanting to try and incorporate at least a little bit of living math into our lessons. My daughter hates math and really struggles with word problems (even simple ones) so I am looking for a new approach that might help her. I see that the lesson plans they have are incorporated into history. We are already using a history curriculum(focusing on American history right now)so I am wondering if you can separate the history from the math part? I didn’t get quite enough from the sample pages to know if this is something I want to use. I think I will join the yahoo group to try and learn a little more before I consider buying. Would you recommend the curriculum to someone like me who is completely new to living math? We are trudging through Singapore and getting through it, but not loving it. We are definitely going to try Living Math…thanks!! .-= Melanie´s last blog ..Gone Fishin’ with Think! =-. Wow.. This seems like a fun activity. My students are gonna enjoy this week’s class! Your Living Math lessons sound so wonderful! I am sure I would not have been confused by positive and negative numbers in my youth if somebody had done some of those activities with me. .-= Samantha´s last blog ..Organizing My Closet =-. I love walking the number line. I used to have my kids do it when I was teaching. .-= Ticia´s last blog ..More awards =-. Jimmie– thank you… I know I will be needing this when my son gets to negative numbers. .-= Lainie@ Mishmash Maggie´s last blog ..Lest We Forget =-. This is AWESOME! You are awesome. We just had our first problem with negative numbers last week and we were working through which is bigger -2 or -8… so we went to the number line. I like your activities… If only I had more time and more energy. One thing I thought I COULD do is do the life-size number line with chalk outside… yep, that’d be more feasible. And the oral spending silly scenarios… I can do that. Okay, you’ve officially inspired me. 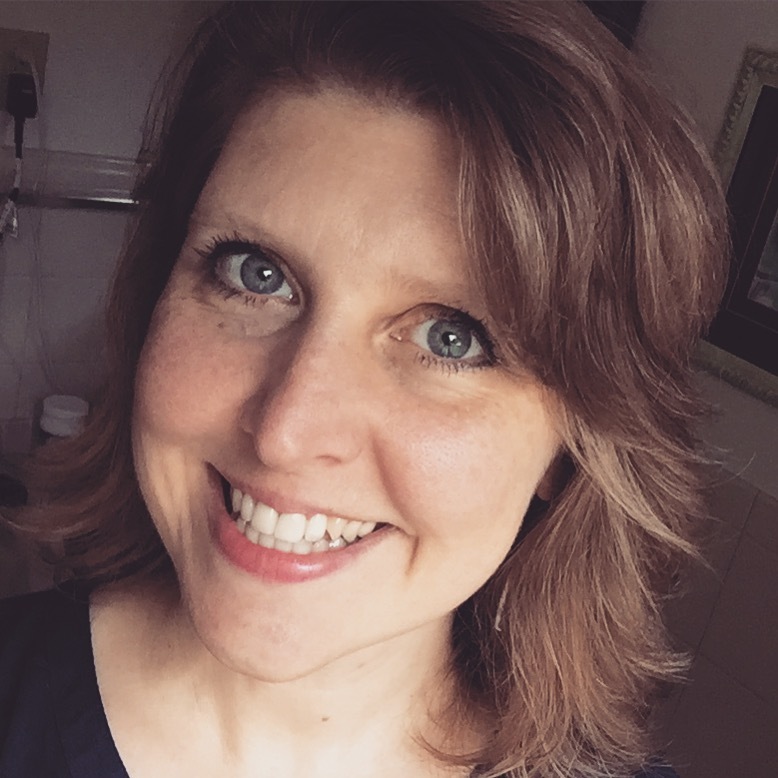 .-= Amy´s last blog ..I wholeheartedly agree… =-. so many good ideas here. i have to bookmark this page and come back to it! .-= Marsha´s last blog ..10 on the 10th =-. .-= Michelle´s last blog ..Charlotte Mason Blog Carnival =-. everytime I seem to struggle homeschooling in a particular area there pops a mom who has been there and climbed the mountain! Thank you…this is EXACTLY what we needed to help it click in a fun way! .-= anneofalamo´s last blog .. =-. What wonderful ideas! I love the huge number line and know that my daughter would be thrilled with it. Heck, we might start one now to do addition and subtraction on. But, as much as she loves games for math, she simply adores worksheets. We just need a balance of the two. .-= Nicole´s last blog ..To market, to market to buy a fat hog… =-. Oh, I forgot to mention, I read the Al the Gebra book when I was in middle school because the author was one of my teacher’s former students. Kinda fun connection. WOW!!!! This is awesome!! 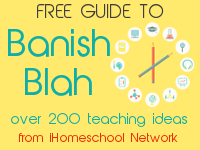 So many good ideas and resources. Thank you very much for sharing all this with us!! I’m going to have to go check out LivingMath.com again!! .-= Angie´s last blog ..Today is for Reflection =-. @Angie — Did you read my review of Livingmath.net curriculum? It’s primarily a math history curriculum. 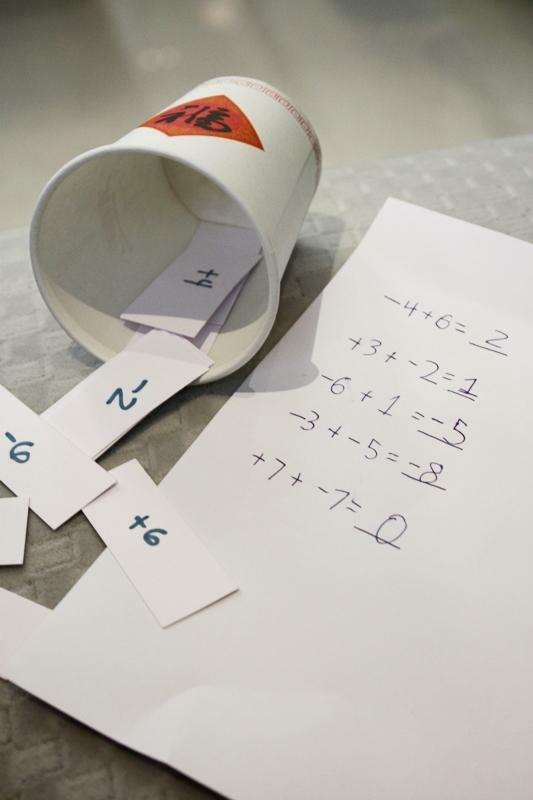 You’ll still need to add in math skills with hands-on/games. Thank you so much! This is just the sort of material I was looking for! I LOVE this lesson! Totally enjoying your blog. .-= Cynthia´s last blog ..Living Math Book Reviews =-. Hey!!!!!!!!!!!!!!!!!!!!!!!!!!! 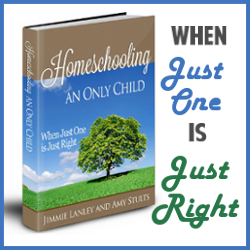 I homeschooled for 8 years. Now I teach middle school math and algebra. I am studying to be nationally certified, and I stumbled upon your site. Thank you for all the resources!